WOW, WOW and WOW! Over $22K in rental income in 2018. Priced to sell fully furnished and turnkey ready for Spring/Summer rentals. Wonderfully located near the Village of Baytowne Wharf with beautiful third floor views, this resort style getaway has nicely updated wood flooring , new furniture and freshly painted with a ''sea salt'' hue. Enjoy the pool and garden view while having easy access to the parking garage where the owner's closet is located. 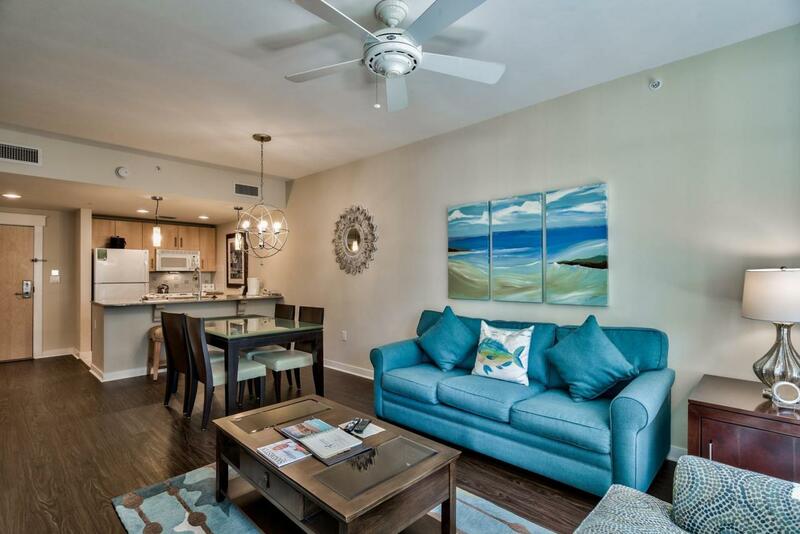 This unit is listed as ''A'' rated on the Sandestin rental program and is great for year round rental activity. As an owner, enjoy daily picturesque sunsets of the Choctawhatchee Bay from the private Solstice Club. Elation owners also have use of the heated resort style pool, fitness center, and Ballyhoo Bar.